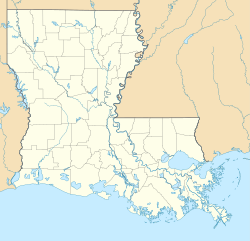 Morrow is an unincorporated community and USGS populated place in St. Landry Parish, Louisiana, United States, located just east of U.S. Route 71 and the railroad tracks. A post office has existed in this community since 1883. Public school students in Morrow attended Morrow Elementary School (under the supervision of the St. Landry Parish School Board) until the school was closed due to dwindling school population and a federal desegregation order in 2009. Morrow is served by St. Landry Parish Fire Protection District #7.